DETROIT – General Motors, in advance of a Monday court hearing in Sweden that could determine the fate of Saab, said it could not support the latest investment and loan proposals to keep the struggling Swedish automaker in business. GM also dismissed suggestions that some of the latest proposals to save Saab did not require the U.S. automaker's consent. "Saab's various new alternative proposals are not meaningfully different from what was originally proposed to General Motors and rejected," GM spokesman Jim Cain said in a statement Saturday. "Each proposal results either directly or indirectly in the transfer of control and/or ownership of the company in a manner that would be detrimental to GM and its shareholders," Cain said. "As such, GM cannot support any of these proposed alternatives." Saab said Tuesday it received a payment from China's Zhejiang Youngman Lotus Automobile, which wants to take a stake in the automaker. Media reports said the $5 million payment was used to cover immediate tax expenses. But more funding is necessary to pay staff and suppliers and resume production. Saab has also held talks with an unidentified Chinese bank to secure loans to raise about 600 million euros ($803 million). Muller also told the paper that GM’s latest statement was “obviously” based on rumors and an attempt to “influence Monday’s court-hearing in a negative way,” the Associated Press reported. GM, which owns the technology on which several Saab vehicles are based, says a Chinese takeover of Saab would not be in the best interests of its shareholders given GM's sizeable Chinese operations. It has said it won't continue to license its technology to Saab under the proposed ownership changes. Without GM's technology licenses and production contract, analysts say Saab would be unable to continue in its present form. Saab was once owned by GM but divested in early 2010 after the U.S. automaker's 2009 bankruptcy and restructuring. 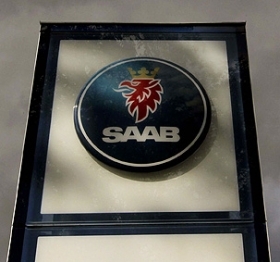 Saab has been operating under protection from creditors since September. The Swedish automaker's fight for survival took another unexpected turn on Friday when a court refused to allow the ailing automaker's administrator to quit his job just days ahead of the Monday hearing. Sweden's Vanersborg court is due to decide on Monday whether to keep Saab protected from creditors while it secures new funding sources. The court said it was too late to dismiss current administrator Guy Lofalk, rejecting requests from Saab and Lofalk himself to be relieved of his duties. "With regard also to the short time remaining until the matter will be tested ... the district court assesses that there are insufficient grounds to immediately dismiss Lofalk," the court said in a document. Lofalk had earlier this month requested the court call time on Saab's creditor protection because the company, owned by Dutch-listed Swedish Automobile, had run out of money. The company had named a new administrator to replace Lofalk earlier this week, only to suffer the embarrassment of having to name another person to take the role after the preferred candidate subsequently turned down the position.